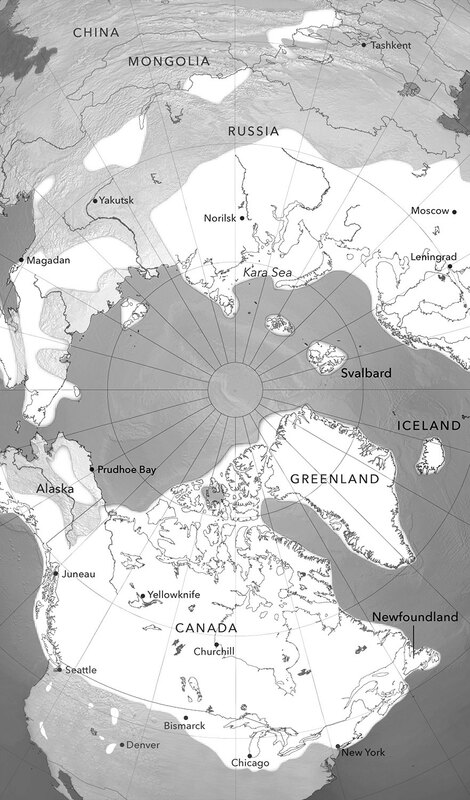 This map shows the extent of the most recent ice sheet. Ice elements are drawn by hand from a reference map sketch. The map was designed to be placed as a full-page illustration in the book Nature's Temples published by Timber Press.